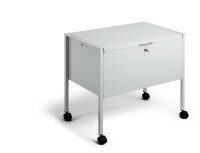 Holds approximately 80 A4 suspension files, lockable. Made of epoxy polyester coated steel to provide scratch resistant protection. Dimensions (H x W x D): 592 x 655 x 404 mm. 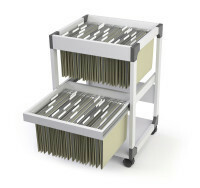 Holds approximately 100 A4 suspension files. Made of epoxy polyester coated steel to provide scratch resistant protection. Dimensions (H x W x D): 592 x 760 x 400 mm. Holds approximately 80 A4 suspension files. Made of epoxy polyester coated steel to provide scratch resistant protection. Dimensions (H x W x D): 592 x 655 x 368 mm. Holds approximately 80 Folio suspension files. Made of epoxy polyester coated steel to provide scratch resistant protection. Dimensions (H x W x D): 592 x 655 x 404 mm. Holds approximately 80 A4, Folio or Foolscap suspension files, lockable. Made of epoxy polyester coated steel to provide scratch resistant protection. Dimensions (H x W x D): 592 x 665 x 457 mm. Holds approximately 80 Foolscap suspension files. Made of epoxy polyester coated steel to provide scratch resistant protection. Dimensions (H x W x D): 592 x 655 x 425 mm.